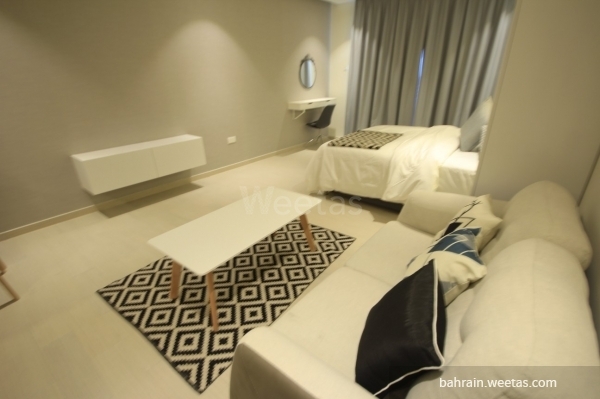 For rent: fully furnished studio apartment in an upscale new tower situated near King Hamad University Hospital and Royal College of Surgeons in Busaiteen. 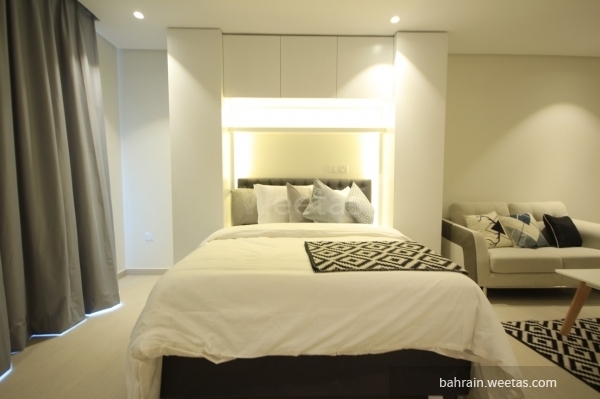 The tower features many amenities and services including a swimming pool, a fitness gym, and car parking spaces. 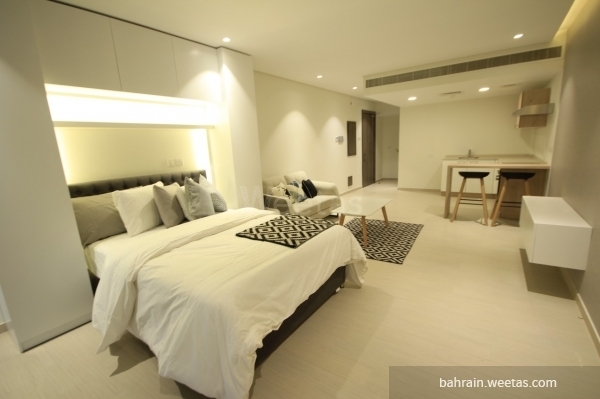 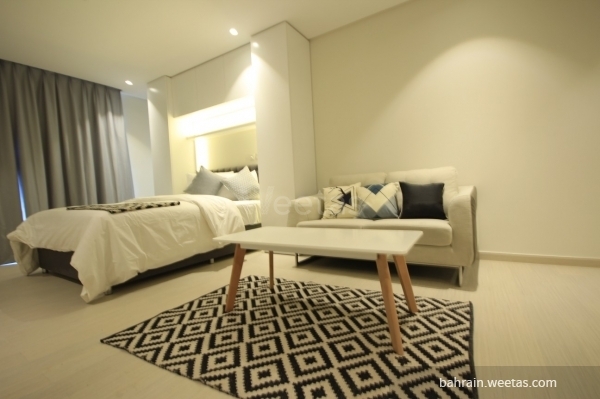 Apartment\'s monthly rental price is 300BD.